all across Memphis, including students from St. George’s Independent School and Houston High School, together to help beautify our city. 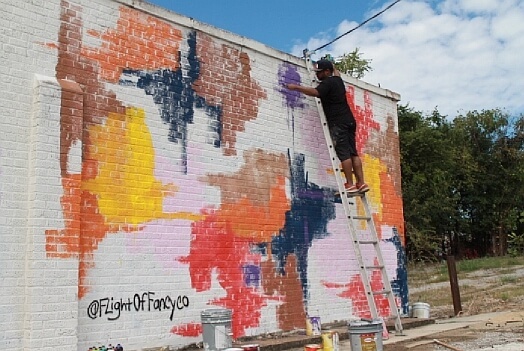 Over 150 artists gathered to paint the entire city block on Willett Street between Central and Lamar on September 30, 2017, creating the largest collobartive mural in all of Tennessee. 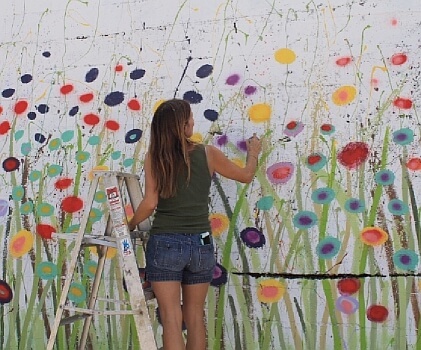 The mural painting opened at 9 am to artists and then to the public at noon. 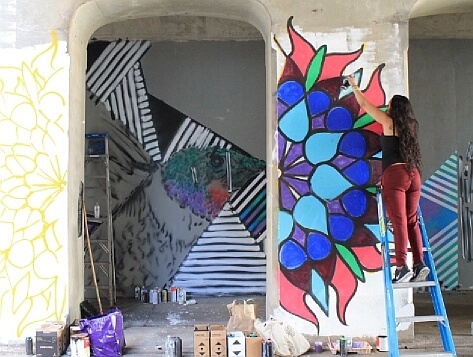 The artists were asked to design their walls along the theme of Memphis: A City of Colors. 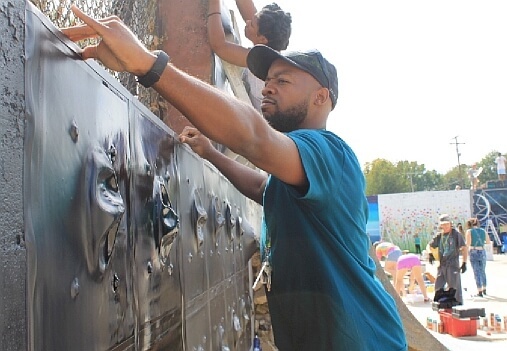 The festival had live music, food trucks, and more than 50 volunteers to help make PaintMemphis 2017 such a hit.